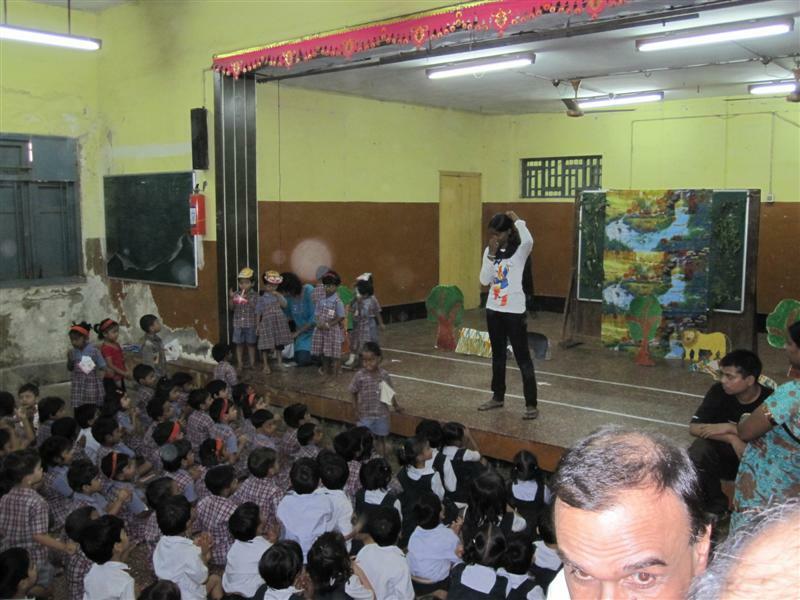 Twenty years ago, the first Akanksha center opened for children from the slum communities of Mumbai, an innovative after school program designed to provide them with fun, engaging learning opportunities. Founded by Shaheen Mistri at the age of 18, these centers develop children’s English language fluency as well as equip them to go on to college, attain a good job and become change agents in their communities. Today, over 80% of Akanksha children go on to college to begin professional careers compared to only 30% of Indian children who successfully complete the 10th grade. 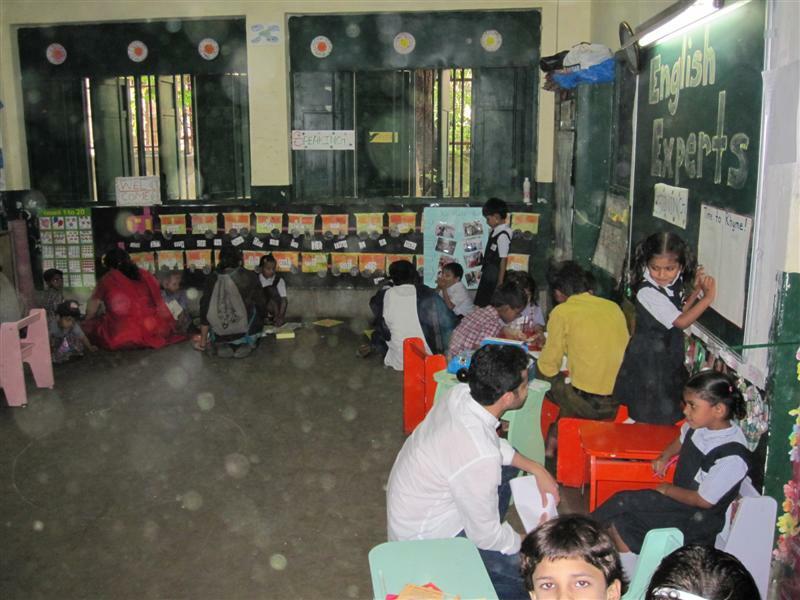 In 2007, inspired by the success of its centers and stories of charter schools such as KIPP in the United States, Akanksha began its initiative to transform schools in urban India by planting the seeds of the charter school movement in Mumbai and Pune. 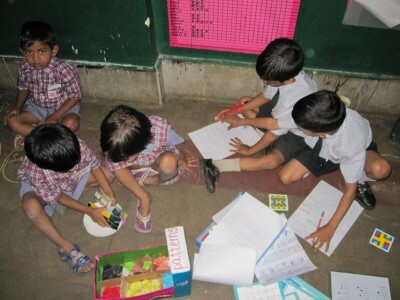 Today, Akanksha serves 3,500 children through its 57 centers and six schools. 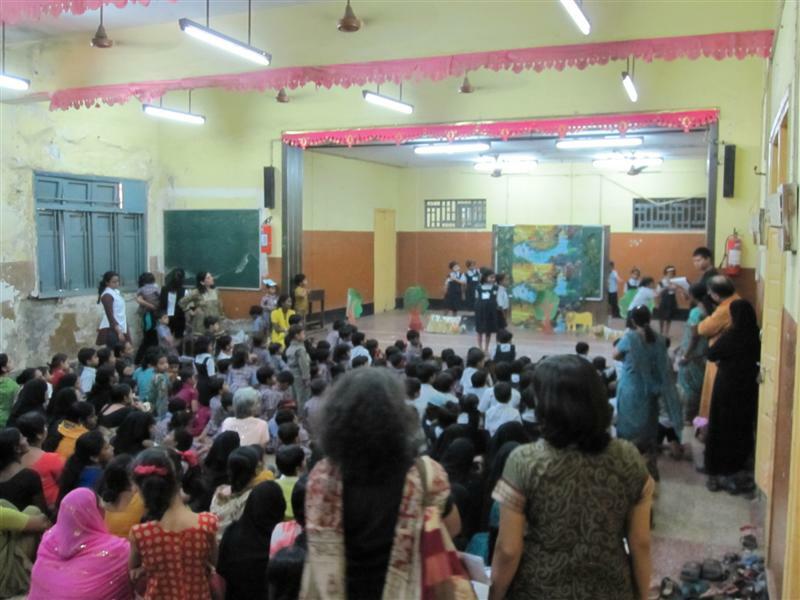 With much anticipation we arrived at one of the Akanksha run schools, the Abhyudaya Nagar School in Parel, Mumbai. The school is housed in one of the municipal school structures. Originally planned to house three different sets of classes taught in English, Urdu and Hindi, the location was underutilized due to funding. The English medium section languished. 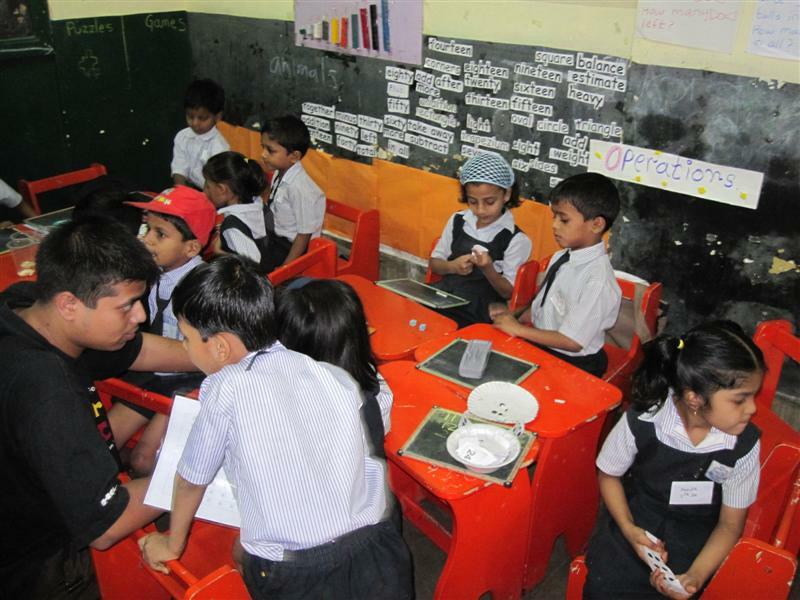 Based on their track record of after school programs, Akanksha convinced the local municipality to allow them to utilize the space to conduct a K thru 2nd grade school. 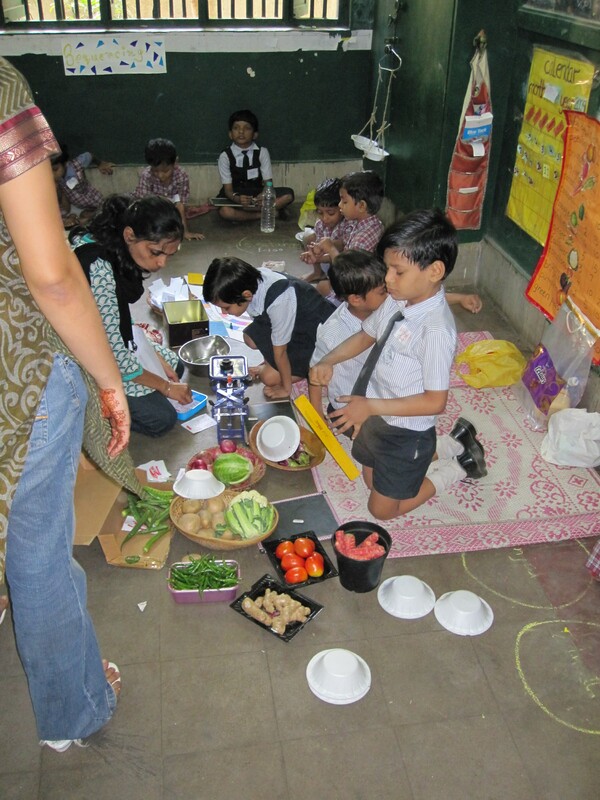 Akanksha provides the teaching materials, teachers and curriculum. The centers are supported by donations and direct corporate support from major companies who have stepped up to underwrite the expenses by ‘adopting’ a school. The day we visited was coincidentally an open house for the school’s parents. Swarms of eager and excited kids buzzed around in each classroom. The classes were setup by subject matter for the parents. In the English room, kids ranged from kindergartners, who went over the alphabet with you, to second graders who were only too excited to read out their favorite stories. A young chap cornered me for an interview and then handed me the short autobiography he had compiled from my answers. The Science room had several interactive experiments that explained early science concepts to the kids. Little hands grabbed the guests to show them the latest wonders of art and science. And in the Hindi room, studious members went over their vocabulary and alphabets using charts and games around the room. The math room had a number of hands on activities to introduce the children to basic numeracy concepts from counting to addition and subtraction. The walls were festooned with their handiwork and with brightly illustrated graphs and signs. Sitting among the kids was Yash, one of the student teachers. Yash is typical of a new batch of motivated teaching crew that helps Akanksha. He is a graduate of the prestigious Indian Institute of Technology, Bombay – the MIT of India. He was at Akanksha as part of the new Teach for India program. As part of the program he spends his time teaching kids the wonders of mathematics. It was a joy to see the enthusiasm and energy in his little protégés as he engaged them in various math challenges and games. The Teach for India program, modeled on the successful Teach for America effort, was now headed by the founder and former CEO of Akanksha, Shaheen Mistri. Inspired by what she saw in India, Wendy Kopp founder of Teach for America helped launch the effort in India and recruited Shaheen to head it. Shaheen’s role in Akanksha as CEO is now filled in by Vandana Goyal. Vandana Goyal, herself a product of the American school system having grown up in Massachusetts, graduated from Claremont McKenna College and went to work for Citizen Schools in the US. She took her passion for educating children to India a few years ago and wound up working at Akanksha. Over the years she has taken an increasing role at Akanksha and was recently named its CEO. The school setting itself is quite challenging by any standards. Yet the enthusiasm and energy of the teachers and the interesting activities and projects capture the attention of the kids and keep them engaged. The parents are proud of what they see and keep connected with the school. That day the kids put on a series of skits and cultural items on the school stage. Oblivious to the peeling paint they performed with gusto in front of lovingly created handmade sets. With great regret we had to tear ourselves away from this scene as our visit was drawing to a close. 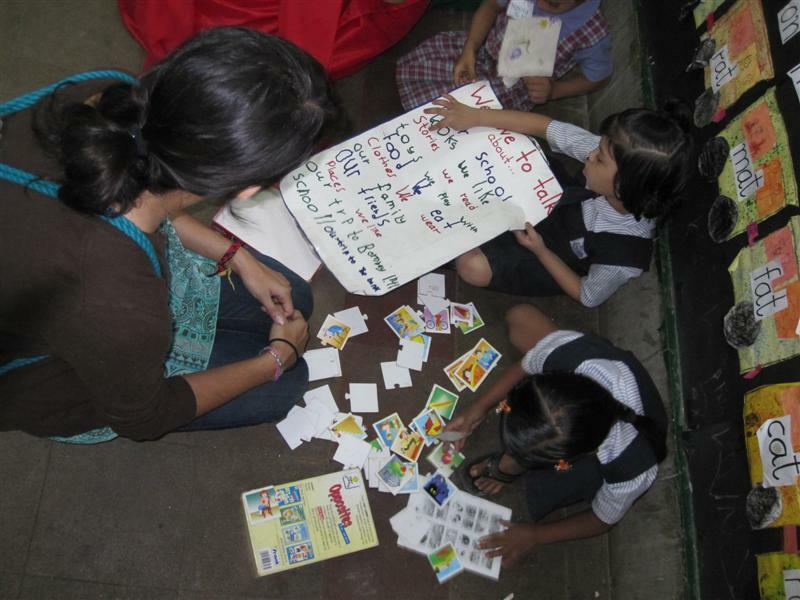 To learn more about Akanksha visit their website or join them as a fan on their Facebook page. You can see more photos from our visit on this page. This entry was posted in Education, India, non-profit, Poverty, Schools, Social Ecosystem and tagged Akanksha, Education, Mumbai, non-profit, poverty alleviation, Schools, Shaheen Mistri, slums, Social Impact, Teach for America, Teach for India, Vandana Goyal, Wendy Kopp. Bookmark the permalink.